So Robbie Williams did it, Rod Steward did it, even Westlife did it. And Michael Buble (pronounced Boo-Blay I'm told) is still doing it. They're covering the classics. I've Got You Under My Skin, Mr. Bojangles, Mack the Knife, They Can't Take that away from me, What a Wonderful World and plenty others. Now I'm not here to say they're not doing a good job. They are. These guys (for the most part) can really sing. But here's the thing. 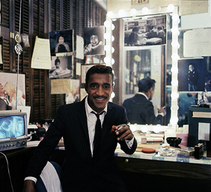 This (and you should know this) is Sammy Davis Jr. Singer, Dancer, Actor and Legend. He was a member of the Rat Pack, he was in the original Ocean's Eleven (yes, George Clooney's was a remake) and he had one of the greatest voices in the history of show business. If you like the guys who are doing the songs now, you owe it to yourself to hear the guys who helped to make the songs famous. 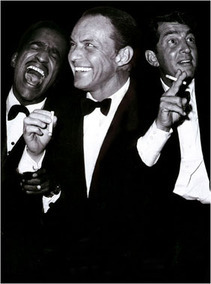 There a good reason the Rat Pack is legendary. Every member of the Rat Pack is legendary. They were that good. Buy Sammy Davis Jr. at the Coconut Grove and The Rat Pack Live at the Sands and you'll know what I mean. But they were more than just singers, listen to these live performances and you will realize that these men were showmen, they were entertainers and when they were on stage they made it sound like they were the luckiest guys in the world having the time of their lives.